Last weekend in Chicago, Ted Dabrowski, Vice President of Policy at the Illinois Policy Institute, spoke at a conference hosted by the Franklin Center about his efforts to initiate a voucher program in northwest suburban Waukegan. Dabrowksi, a passionate supporter of school choice, described the power of school choice as "allowing parents and students to decide which school choice option is the best fit for them." Milwaukee, Wisconsin was cited as having a long standing voucher program with good results. Dabrowski rightly referred to the Waukegan public schools an educational tragedy with low-performing schools, also prevalent in other Illinois cities, especially in Chicago. Chicago is home to 45% of the state’s lowest-performing elementary schools and high schools. Accordingly, half of the state’s lowest-performing schools are located outside of Chicago's borders in Aurora, East St. Louis, Rockford, Springfield, and Waukegan. Surely the family members of students in these districts want the option to have their loved one attend a higher-quality school, realizing just how important a quality education is for their child’s future. About Waukegan: With a population of more than 90,000, the depressed city of Waukegan sits on the shores of Lake Michigan just minutes away from the prosperous communities of Lake Bluff and Lake Forest, yet Waukegan is as different as night and day. The collapse of manufacturing led to a massive shift in the city's demographics. Houses can be bought for almost nothing. As such, low income families have moved in. 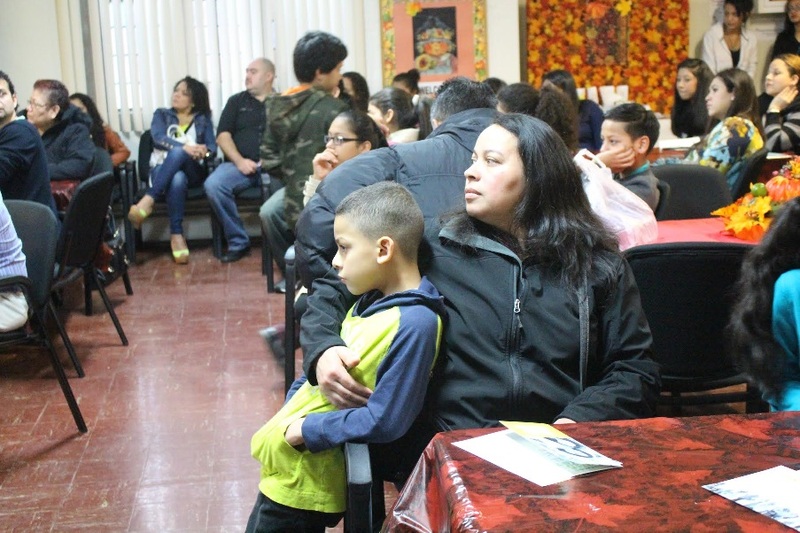 Hispanics now make up more than half of Waukegan's total population, representing nearly 77% students in Waukegan schools. With the above facts in mind, Dabrowski, in concert with the Illinois Policy Institute, perceived Waukegan -- about 40 miles north of Chicago -- to be fertile ground to introduce a voucher program. With $12,000 spent per pupil, only 18% of the students graduate college ready. Additionally, because of the low performance of Waukegan Community Unit School District #60, the Illinois State Board of Education, or lSBE, had designated the school district for a possible takeover. In introducing his voucher program to Waukegan residents, Ted Dabrowski and his team knocked on 13,000 doors with a petition in hand to educate residents. Realizing the program had to be packaged in different ways to Hispanics, blacks, and a white minority, his petition advocating school choice was printed in both English and Spanish. An important observation to make is that the Waukegan voucher does not involve fighting for change at the legislative level, but instead at the grassroots level. Although the Waukegan voucher initiative is still in its infancy, a recent change in the Waukegan School Board could move the project along. In the recent 2015 election, several incumbent members were defeated by pro-reform candidates, increasing the potential for school choice. Givemechoice.org, a delightful short video by the Illinois Policy Institute, can be viewed by clicking on the right side of this link page under the title, "School Choice in Waukegan." This promotional video has been utilized in Waukegan and other venues to educate the public about the benefits of a voucher program. The video was likewise shown by Dabrowski to the assembled conference participants to begin his presentation. Featured in this whimsical, cartoon-designed video is Erica, a freshman at Waukegan High School, which, the video says, is not the best fit for her. Because her parents lack the money to send Erica to a school where she might blossom, she remains stuck in a school that is determined by her address. Givemechoice.org conveys a positive messaging of school choice without bashing traditional public schools, for who can oppose giving parents the right to choose? As far as school choice becoming a legislative reality here in Illinois, it doesn't look all that promising in the near future. It was in 2010 when Rev. Meeks, a black minister and an elected representative from Chicago's inner city, sponsored a Chicago School Choice bill which called for a voucher program. The bill passed in the IL Senate but not the House. Although many current legislators do believe in school choice, after Meeks' failure the legislation was never revived to be acted upon. In expressing how virtual schools are not for everyone, Dabrowski described his experience in trying to start a digital learning charter school in January of 2012. It was to cover eighteen school districts with its aim of getting 1,000 kids to be part of the system under K12 Inc (The K12 International Academy is a fully accredited, private online K-12 school that liberates students from rigid schedules, classes that move too fast or too slow, bullying, and other factors that stand in the way of success.). Not only did Dabrowski's proposal fail, but a one-year moratorium was issued against establishing a virtual learning charter school. The following two arguments were proposed by Dabrowski to consider when confronted by individuals who object to vouchers. 1. Pubic education is the education of the pubic, no matter what form it takes. 2. It's not about what we teach, but how we educate. The efforts being made by Ted Dabrowski on behalf of Chicago's Illinois Policy Institute could help students succeed in Waukegan without excuses being made for low income or illegal immigrant students. As Dabrowski remarked, "Going the grassroots way, engaging families and children hoping for a better education, is the best way to compliment a lobbying effort in Springfield." "Amplify School Choice Chicago" was held May 15-16 at the Sheraton Chicago Hotel and Towers. Sponsored by Franklin Center for Government & Public Integrity, a non-profit organization that promotes a well-informed electorate and a more transparent government, Franklin Center's new project, "Watchdog Arena", headquartered in Alexander, Virginia, spearheaded the Chicago event coordinated and led by Josh Kaib. Mary Ellen Beatty, the Director of Journalism Operations for the Franklin Center, accompanied Mr.Kaib to Chicago (WatchdogArena.org is a news site powered by informed writers, bloggers, and citizen journalists. It will serve as a national publishing platform for articles that expose waste, fraud and abuse as well as examine a plethora of policy issues at all levels of government.). Other Watchdog Arena events held this year were in Washington, D.C.; Phoenix, Arizona; Denver Colorado; and Atlanta, Georgia. Speakers heard during Chicago's two-day Amplify School Choice conference included: Ted Dabrowski, Vice President of Policy at the Illinois Policy Institute; Andrew Broy, President of the Illinois Network of Charter Schools; Bruno Behend, Senior Fellow for Education Policy at the Heartland Institute; Myles Mendoza, Executive Director of One Chance Illinois; and Illinois Representative Jeanne Ives. The following School Choice options were presented during the conference as alternatives to the traditional "brick and mortar" public schools, especially to serve the needs of children living in poor neighborhood. Participants also participated in a tour of Leo High School led by its president, Patrick Hickey. Leo High School has been providing quality Catholic eduction to young men from Chicago's South Side since 1926. 100% of its seniors have graduated in the last six years, and more than 96% of them have gone on to college.